Written by admin in Help and Advice on Jan 22, 2019. 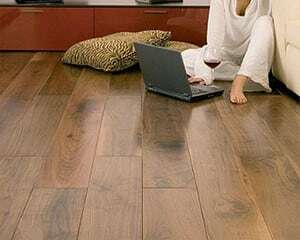 Hand scraped wood flooring is a unique style of hardwood flooring which is an extremely popular option for those looking to add more rustic charm to their home typical of older builders and bygone years. This ambience is achieved through the use of wood that has been, as suggested, hand scraped in order to appear more worn and distressed to attain a more heritage look and feel. 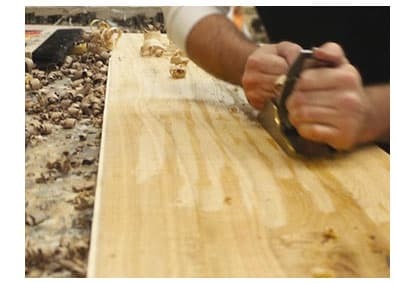 The technique referred to as hand scraping, is a method by which the planks are scraped to achieve a unique definition by adding extra levels of texture to the wood. Hand scraping wood is a practice which dates back to a time before the age of machine cut planks. To achieve a more aged look planks can also be aged by using select techniques and tool to create a distressed look with dips carved out and impact indents to create a patina effect and this is called Distressed Hand Scraped. When boards of wood were original cut with hand saws this resulted in irregularities on the surface of the plank. 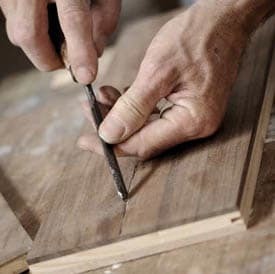 Hand scraping was a method that carpenters could use to even out wooden planks to achieve a more perfect finish. Nowadays, the aim of this technique is reversed. We now live in an age where machines can create a perfectly smooth finish quickly and efficiently. 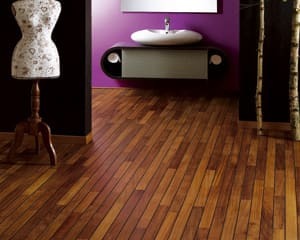 However, these modern planks look out of place in rustic and historic buildings. So, Instead of using process to create a smooth wood surface hand scraping is applied to create a more imperfect look that is full of heritage and character. This process allows for a huge variety of finishes and textures dependent on the wood used and the manner in which it was scraped. 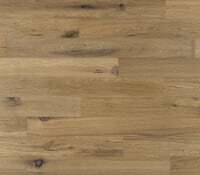 However, despite the name, in recent years the technique is now largely carried out through the use of specially designed machines which have been calibrated to provide a similar result as these products are generally produced in China at lower cost and don’t have the same reality as traditional Handscraped/ Distressed floor stocked by Maples & Birch. 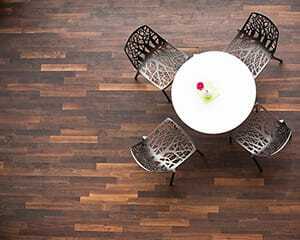 Regardless of whether the wood has been scraped by hand or machine, the final result is a textured wooden flooring which adds personality and antiquity to your home or office. Traditional Handscraped/Distressed textured hardwood floors will improve the charm of your home by giving the impression that the floor has seen a lot of life and use. It implies that it could tell wonderful stories of times gone by if only it could speak. 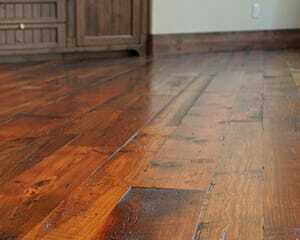 What are the benefits of Hand Scraped Wood Flooring? 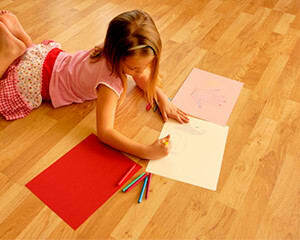 The most significant benefit that Hand Scraped Wood Flooring brings is the way that it looks. It looks as if it has been in place for decades and above all else it can be used to match the style and age of a room. The authentic and rustic feel provides another dimension of character as it is possible to feel the texture in addition to being able to see it. Minute variations of depth, and inconsistency of the surface of the wood, that can be felt with your fingertips also create tiny shadows and changing hues that shift as the light changes. Furthermore, Hand Scraped/Distressed Hardwood brings an increased level of durability to your flooring, when it scratches or indents it will blend-in naturally. 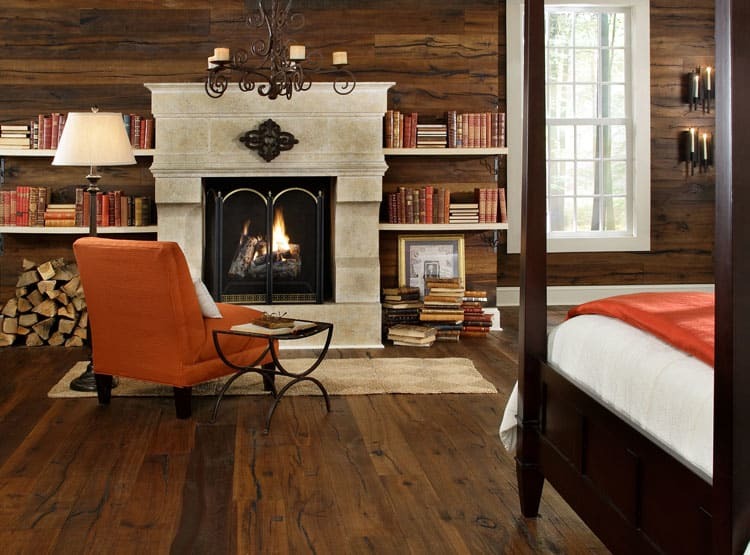 The distressed wood naturally conceals any small cuts and scrapes that make occur of time. This ensures that wear and tear will have little impact on the quality of the finish and, to a certain degree, may even enhance its character. 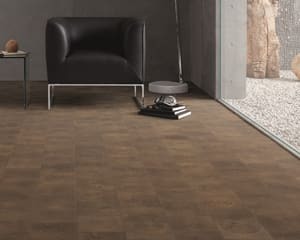 This makes it great for a home or office with a lot of traffic or for areas where flooring is vulnerable to higher amounts of wear and tear. This makes it perfect for homes with pets or kids. It will give you more piece of mind that small accidents that would normally damage the finish of highly finished and polished wood. 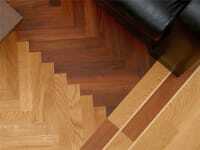 Finally, there are significantly lower levels of maintenance needed when dealing with Hand Scraped wood flooring. 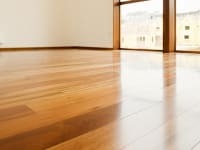 Hardwood flooring is significantly easier to clean when compared to alternatives such as carpet, as it is easily wiped down and dusted. 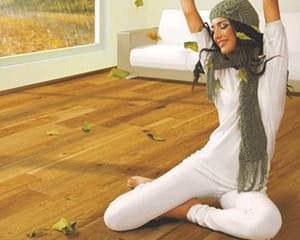 In addition, out of all the surface floor choices, such as solid hardwood, laminate or even tile - Hand Scraped engineered wood flooring comes out on top for having the lowest maintenance needs. The slightly distressed finish allows for small debris and dust to be hidden, while still maintaining a shallow enough surface to be easily cleaned. 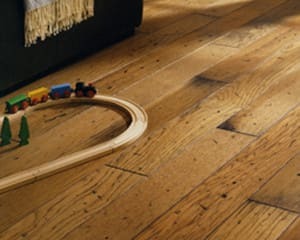 Overall, the extended durability, lower maintenance and unique character gained from its appearance should all be taken into account when considering the use of Hand Scraped Wood Flooring. 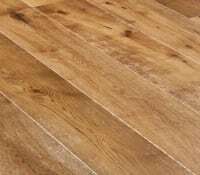 With a vast choice of options ranging from wood species to the level of distress, there is also a considerable variance in the price range. However, overall, the huge level of character and heritage that hand-scraped styles will bring to your home is definitely worth the investment. 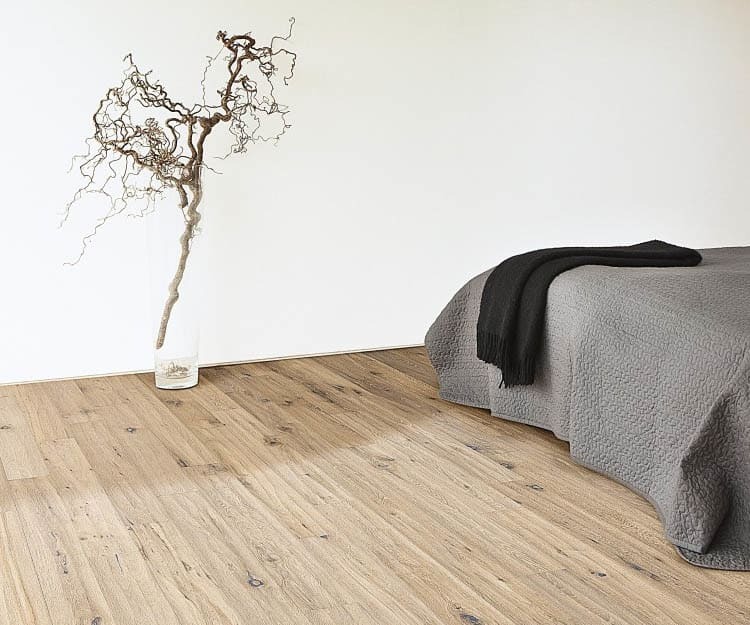 Maples & Birch have a wonderful range of engineered flooring, which is available to buy direct at truly affordable prices. 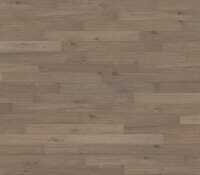 If you are thinking of a hand scraped wooden floor please consider ordering a free sample to see for yourself the excellence and finish of your chosen floor? 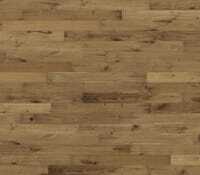 Flooring can be supplied as either solid or engineered planks. Installing flooring is a specific skill and it is always best to work with a professional installer to ensure the highest standards.